The final result of the “Eye Face Surgical Institute” is a clear example of the care and attention to detail with which the C& Partners Architects architecture and design studio creates its works, and proof that the solid surface from PORCELANOSA Group, KRION®, meets the expectations of the most demanding studios and certifications. It is not just the design of this spectacular clinic located in the north of Toronto, Canada which is amazing; it has operating theatres in a commercial skyscraper, meeting all the needs of the professionals who work in this establishment, which was one of the main challenges of this project. 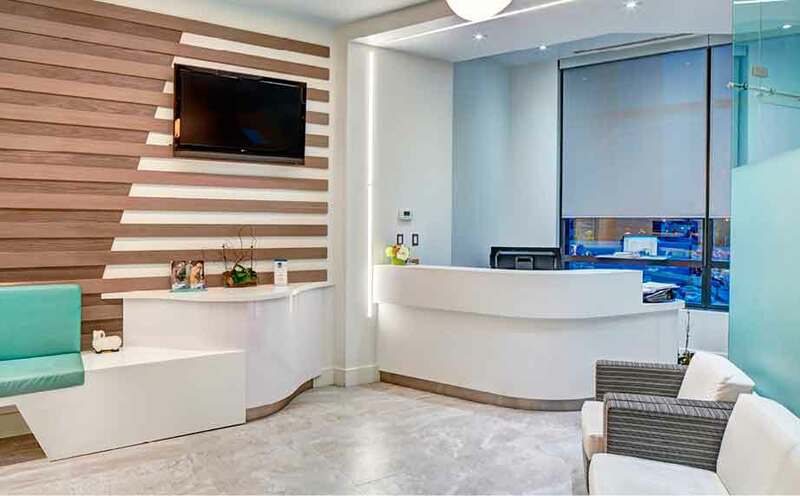 This project has used various materials from PORCELANOSA Group, particularly KRION®, which we can find in its 1100 Snow White version on the reception desk, shelves, benches, operating theatres, washbasins, tables, shelving combined with wood, etc. We would like to thank C& Partners Architects for the trust they have placed in our material KRION®.